Inspired by the classic 1994 arcade game Alien vs. 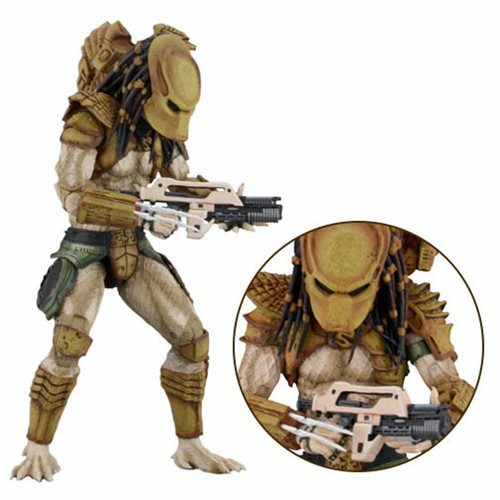 Predator comes this Predator Arcade Version Hunter Predator Action Figure. Fans of both iconic franchises can expand their collection further with this Hunter Predator from the classic game. The Hunter Predator figure comes with a super-poseable body, over 30 points of articulation, and stands approximately 8-inches tall. The Hunter Predator comes with a pulse rifle, smart gun, and spear.